After Dubsmash, Musically and countless other applications, the latest one to join the league is ‘Tik Tok’, another video-based app that allows users to perform on their favorite songs and acts. Your news feed must be flooded with all those Tik Tok videos where random people dub on songs like a superstar. Well, that’s not a big deal because even celebrities have joined the Tik Tok craze and their videos will definitely leave a smile on your face. Humaima Malick’s Tik Tok video with her fitness trainer Gohar Hayat is the best thing you will see today! The gorgeous diva also did the famous one-liner act from her movie ‘Bol’ and it is just too good! The young talent, Hina Altaf, also shared her Tik Tok video with her makeup artist Farhan Shaikh and she looks super cute in it with all those expressions! The Coke Studio darling Momina Mustehsan to hopped on to the Tik Tok bandwagon. Amna Ilyas too unleashed her Tikk Tokk talent with this video! Iqra Aziz and Yasir Hussain have left everybody behind with their Tikk Tokk madness! And now, let’s keep everybody aside for a moment because our dapper boy Noor Hassan has taken Tik Tok’s obsession to a whole new level. Here are ‘some’ of his videos from the countless Tik Tok videos on his Instagram. 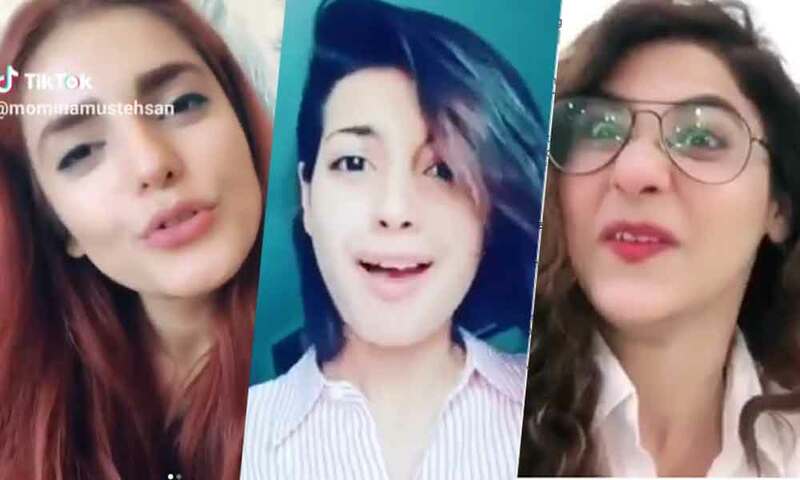 Mansha Pasha, Zhalay Sarhadi and Noor Hassan spotted in one Tik Tok video, something you don’t see every day! When public service message is necessary but swag is permanent!